Marco Barbosa is supporting Elizabeth's Legacy of Hope with 50% of the value of this purchase. 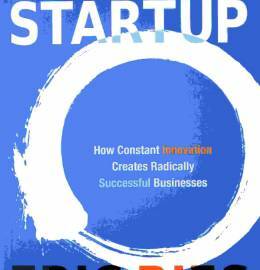 The Lean Startup: How Today's Entrepreneurs Use Continuous Innovation to Create Radically Successful Businesses is a New York Times best seller by Eric Ries. It is based around the business approach of the same name that aims to change the way that companies are built and new products are launched. I strongly recommend to read this book. This item will be sent from 172 Pitfield St, London N1 6JP, UK.